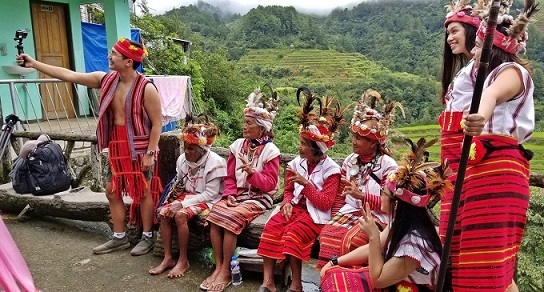 Filipinos born abroad traveled to the Baguio-Banaue area where they participated in historical tours, food trips, nature excursions, and livelihood immersion. 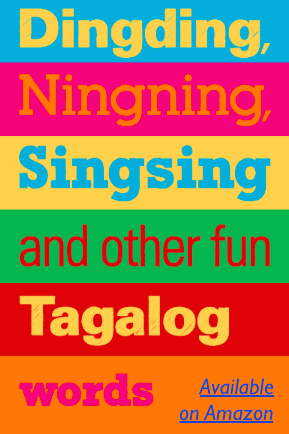 The July 7 to 17 Diskubre Tour, organized by the Philippine Consulate General in New York (PCGNY) and the Philippine Department of Tourism New York (PDOTNY), seeks to promote a deeper appreciation of the Filipino heritage among the young travelers and instill in them the spirit of giving back to the Philippines. Diskubre pilot group in Intramuros, from left: Calvin Santiago, Jhett Tolentino, Vice Consul Khrystina Corpuz Popov, Feona Hidalgo, Derick Hidalgo, Michael Vea, Elaine Ficarra, and Alexandra Brown. Diskubre Tour partnered with ABS-CBN to document the adventures of the young travelers. The trip will be featured in the digital series Discovering Routes Travels with Diskubre, premiering in September. FYLPRO alumni educator Michael Vea and Broadway producer Jhett Tolentino joined the Manila leg of the tour.